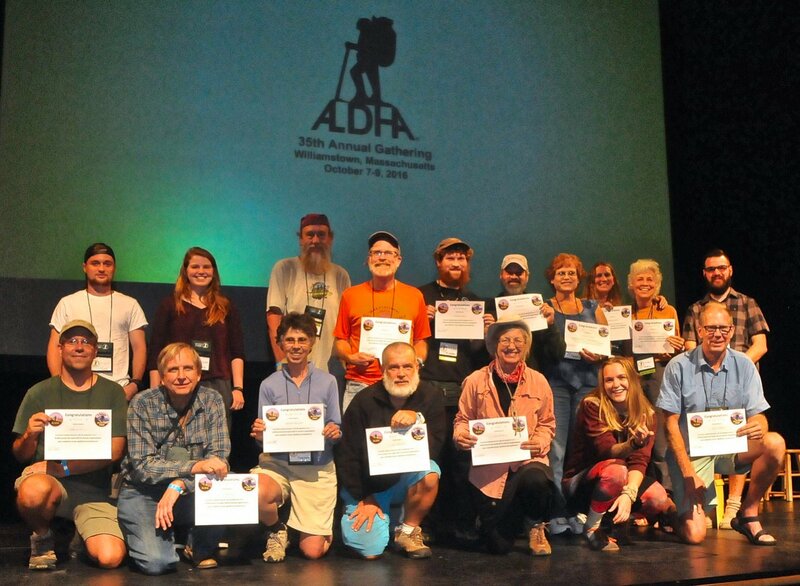 If you complete the Appalachian Trail this year, head for the fall ALDHA Gathering where you'll be called up on stage Friday night to receive the recognition you deserve from your peers in the trail community -- your fellow thru-hikers and end-to-end section-hikers. 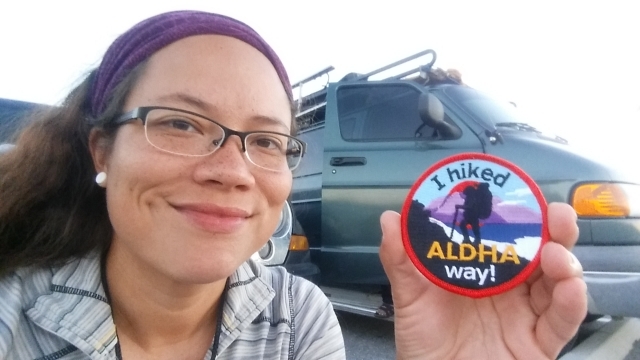 Northbound or southbound, flip-flopper or section-hiker, if you've logged all 2,192.0 miles of the A.T., you'll receive a completion certificate and a nice "I Hiked ALDHA Way" patch compliments of your friends in ALDHA. All you have to do is let us know you're coming and then show up. 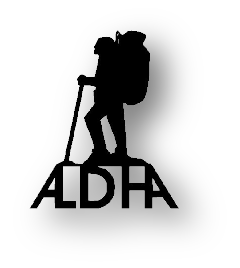 The patch and certificate are our gift to you for a successful journey on the Appalachian Trail. After taking a bow before your peers, we'll have you stay on stage long enough for a group photo of you and all the other A.T.'ers who finished the trail that year. Consider it a post-summit group photo, lol. We'll use that photo in future publications of ALDHA. Stay for the rest of the Gathering weekend, and you can take part in the workshop where you and other members of the current year's class of hikers answer questions from next year's class, that group of dreamers you, yourself, once belonged to. Now you're one of the most knowledgeable experts on hiking the A.T., so your advice is worth gold to those who come to a fall Gathering to prepare for their spring trip. Taking part in that workshop can be one way of giving back to the trail. Of course, there are other reasons to attend the Gathering, which wraps up with a program on Sunday night and is followed by a trail work trip on Monday. Always held in October, the Gathering is usually on Columbus Day weekend, making that Monday a day off from work for many folks. Click the link below to fill out an online form to let us know you'll be coming to the Gathering to receive your due recognition. Also, please spread the word on the trail about this little ceremony; feel free to tell other hikers about it and encourage them to join you for a post-summit group photo at the Gathering. Note: If you won't know for sure if you'll finish the A.T. before the Gathering, you can send an email up until the Friday of the Gathering to: coordinator@aldha.org. You must be registered for the Gathering to take part in this program.